When Chipotle made its pork shortage announcement recently, I was somewhat skeptical. How low were the standards that Chipotle was concerned about?One could be led to think that this was some horrible factory farm scenario gone wrong. But, in fact, it was simply that Chipotle objected to two standard and widely accepted practices used by farmers: farrowing crates which enable them to ensure the safety of newborn pigs and slatted floors which are critical to maintaining cleanliness. NPR spoke to a farmer whose standards meet and extend those of Chipotle but who was skeptical of this demand from Chipotle. He pointed out that while a small farm with fewer pigs could allow them to roam outside, this is not practical in a large scale operation. And the demand for pork, not juts from a particular fast food chain but from the market as a whole is huge. To meet this, large scale operations are essential. While no one wants a dilution in the care of animals, the demands often come from the consumer side. 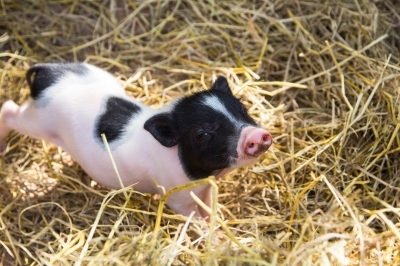 Most of us, to be perfectly honest, have little or no clue about the raising of pigs. Yes, as this farmer describes it, we want to think about pigs being raised outdoors because we have a mental image of a gorgeous , sunny summer day. Th reality of a winter day in Minnesota, as she relates might mean broken legs and frost bite for the animals. The writer also takes issue with the vilification of farmers for brand enhancement. Perhaps it is not so much about the pork as it is about nudging consumers toward other options: Chipotle recently debuted a tofu item in an effort to keep costs down. Maybe the concern over animal welfare would make us pick that instead. And for those who would like their usual options but worry about how green it is, there may soon be an app for that! This entry was posted in Farm Technology, Farmers view, Food Choices, Green, Hunger, Uncategorized and tagged Farming Technology, food decisions, Green, Hunger. Bookmark the permalink.